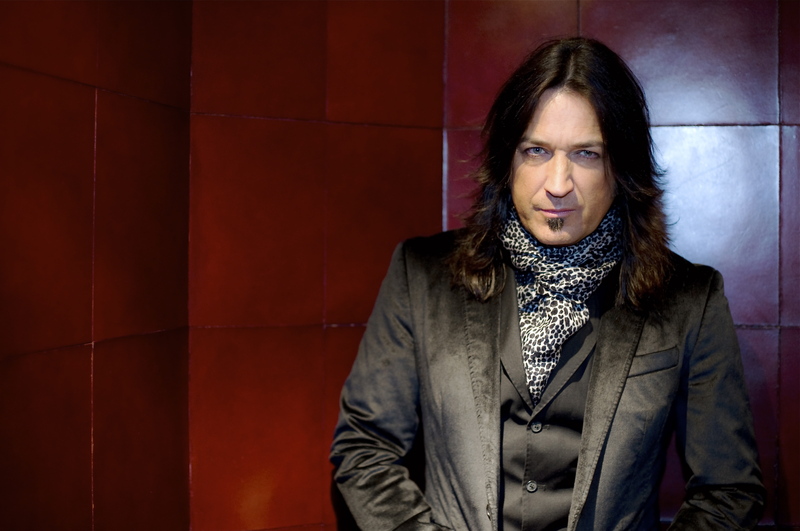 PLYMOUTH – After a sold out performance last year, Michael Sweet, front man of the multi-platinum rock band Stryper, returns to the Spire Center for Performing Arts in Plymouth, Mass., on Saturday, December 12, 2015, at 8 p.m. for a special Christmas show. The concert will feature Stryper classics, songs from his solo career, and Christmas staples. Purchase tickets HERE. With a career and repertoire spanning over three decades, Sweet has fronted one of the most trailblazing groups of the MTV generation, written a stable of Billboard charting singles, filled arenas all the world over, said goodbye at the peak of it all, took stock in a thriving solo career, got Stryper back together for yet another record breaking run and even took a stint co-leading one of the most legendary classic rock acts ever, Boston, from 2007 to 2011. Musically speaking, Sweet is coming off yet another creative high in the Stryper camp thanks to its 2013’s return to form record No More Hell To Pay. Besides making an instantaneous Top 40 debut on the Billboard 200, it landed at #3 on Top Hard Rock Albums and #6 on Top Rock Albums. It’s certainly a testament to the band’s perseverance, whetting the public’s appetite all the more for Sweet’s I’m Not Your Suicide, which may technically be the follow-up to 2007’s individual offering Touched, but is actually the singer/songwriter’s first full-length original album since 2000’s Truth. For this special intimate show at The Spire, Sweet will take you on a journey throughout his musical career, performing songs and sharing stories in an unforgettable evening of stellar musicianship. Local band Shell Shock opens the show! The Spire is located at 25 ½ Court Street in Plymouth. The venue features superior acoustics, custom state of the art lighting and sound systems, and original period architectural details, offering patrons an exceptional performing arts experience. Advance tickets are available through brownpapertickets.com or through the venue’s website, spirecenter.org. ADVERTISEMENT – Y&T @ Narrows Center in Fall River, MA on March 8, 2016. Click on image to purchase tickets.